Keith Cummings. 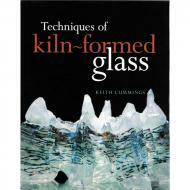 Good overview of historical to contemporary work in kiln-glass. Technical information varies, but overall an essential text for kilnformers. Revised reprint 2001, hard cover, 176 pgs, many color and b&w photos of finished work and processes.